The HAI Omnistat2 Single Stage Conventional & Heat Pump Thermostat supports conventional and heat pump systems, and dual fuel with 2nd stage auxiliary heat. It also supports one external temperature sensor for indoors or outdoors. The Omnistat2 is 7-day programmable and designed to precisely control the temperature within the home. Using advanced digital technology it actually “learns” a home’s heating and cooling patterns and adjusts control to maximize both the HVAC system’s efficiency and the occupants’ comfort. The Omnistat2 is able to communicate with HAI and most home control systems for coordination of energy savings with daily activities, such as “Home”, “Away”, or “Vacation”. It can be controlled from within the house or remotely through the telephone or Internet through HAI’s control systems and accessories. The Omnistat2 meets the Environmental Protection Agency’s ENERGY STAR guidelines for energy efficiency. The Omnistat2 is a new generation of programmable communicating thermostats. They combine HAI’s 20 plus years as a leader in energy management to provide sophisticated and intelligent function in an easy to use device. According to the Alliance to Save Energy, up to half of your energy bill is just for heating and cooling. 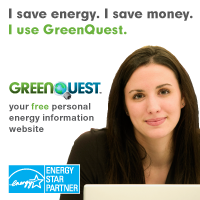 The best way to control your energy cost is by managing your heating and cooling system. The Omnistat2 automatically adjusts the temperature for you; so you can do less and save more! - Using advanced digital technology your Omnistat2 “learns” your home’s heating and cooling patterns and adjusts control to maximize both your HVAC’s efficiency and your family’s comfort. - The backlight comes to life as the Omnistat2 is approached, making it easy to adjust in the dark of the night. - To adjust the temperature, simply turn the scroll wheel to the right or left. - Three buttons facilitate easy to navigate menus to display information such as temperature set points, modes, outdoor temperature and humidity, run time by week, and more! - Selectable simplified and advanced displays. - Supports conventional and heat pump systems, and dual fuel with 2nd stage auxiliary heat. Supports one external temperature sensor for indoor or outdoor.